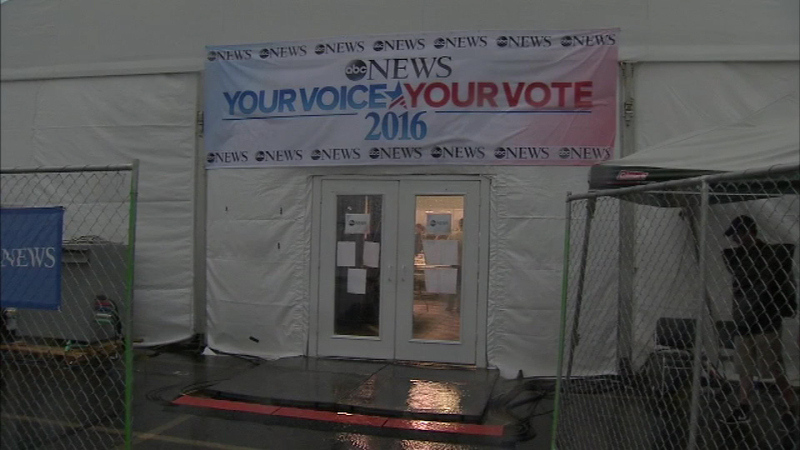 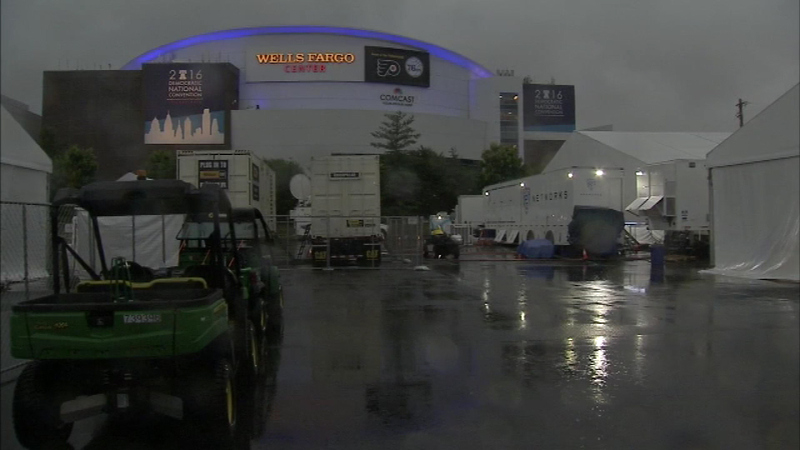 PHILADELPHIA (WPVI) -- Action News viewers and the Action Cam caught the scene as powerful storms moved through the region just as the Democratic National Convention got underway at the Wells Fargo Center in South Philadelphia. 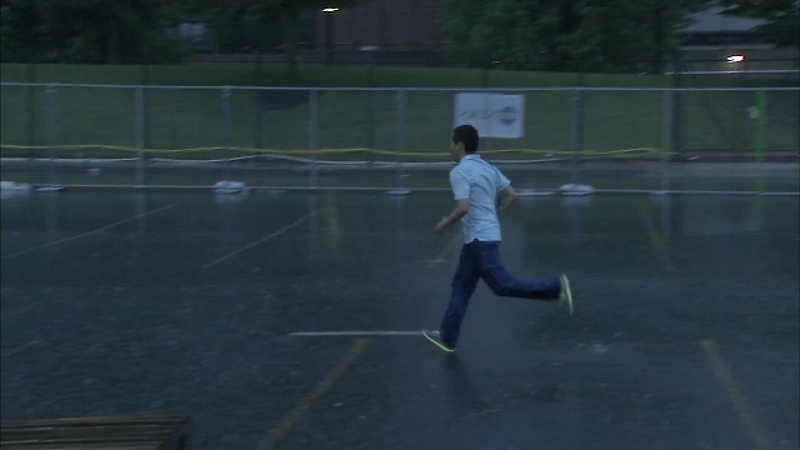 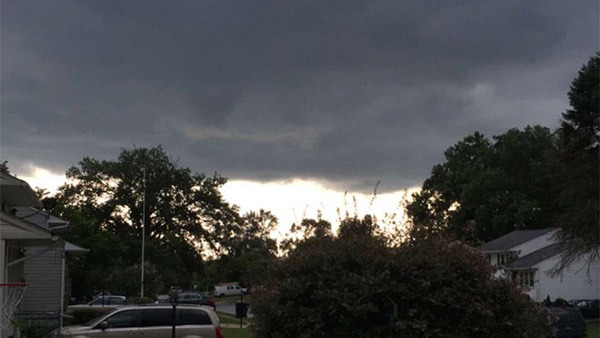 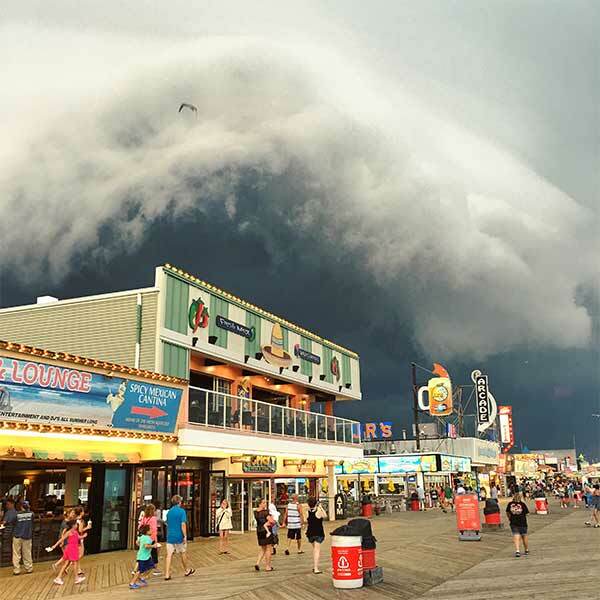 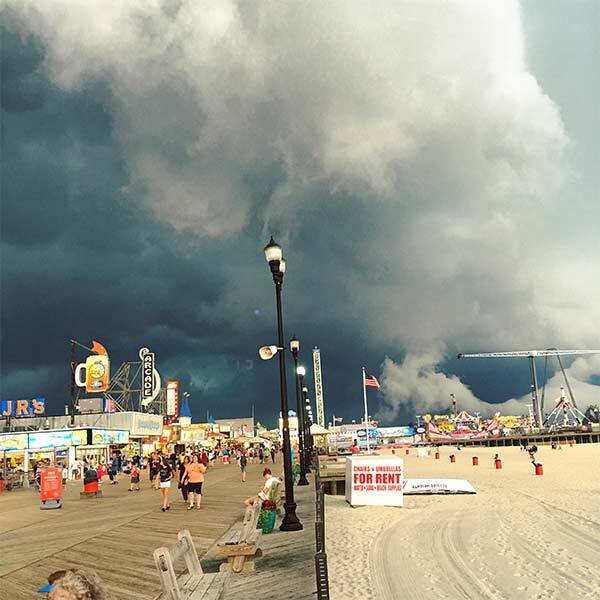 Some staffers had to run for cover as severe storms hit on Monday evening. 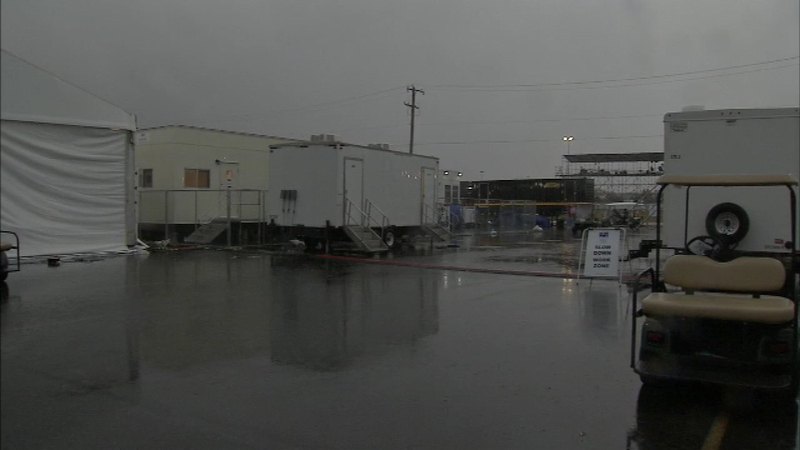 The storm rolled in fast and furious, leaving thousands across the area without power, and others stranded in rising flood waters. 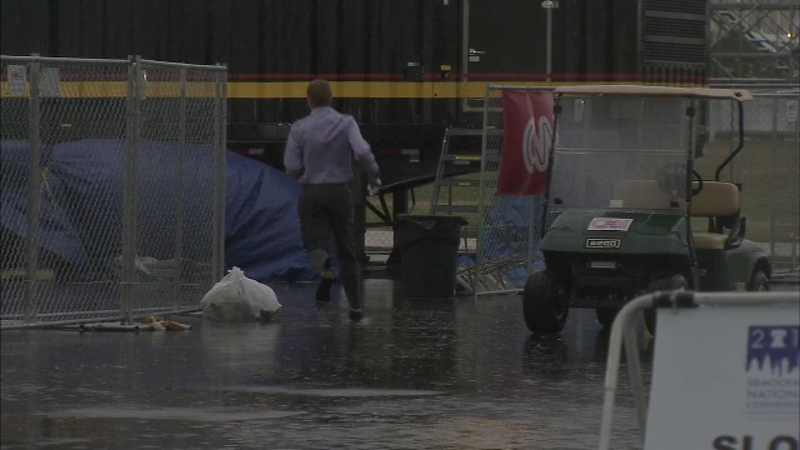 Torrential rain pounded streets in Center City Philadelphia. 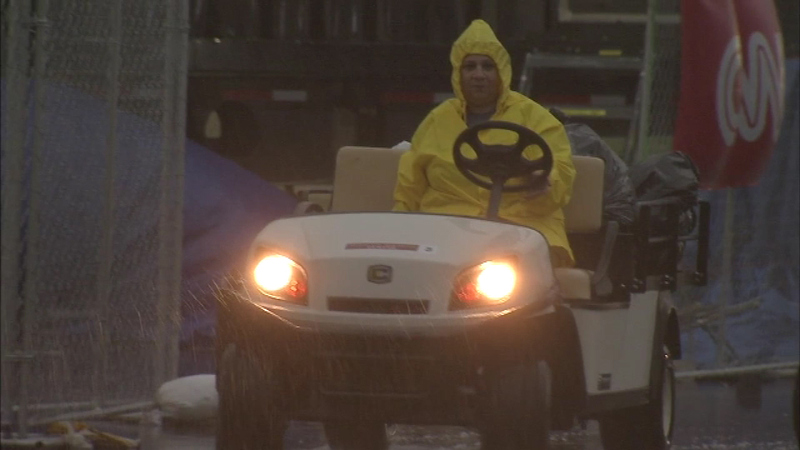 One driver unexpectedly found himself stuck in the middle of rushing water. 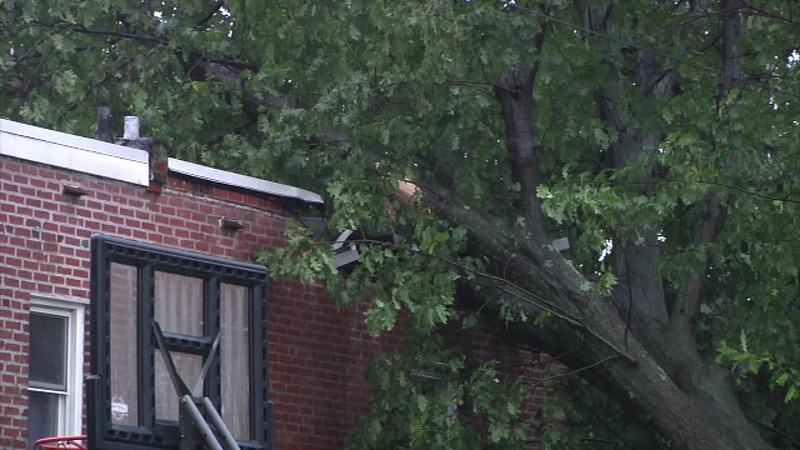 "They should have signs posted warning people this is a flash flood zone," the man told Action News. 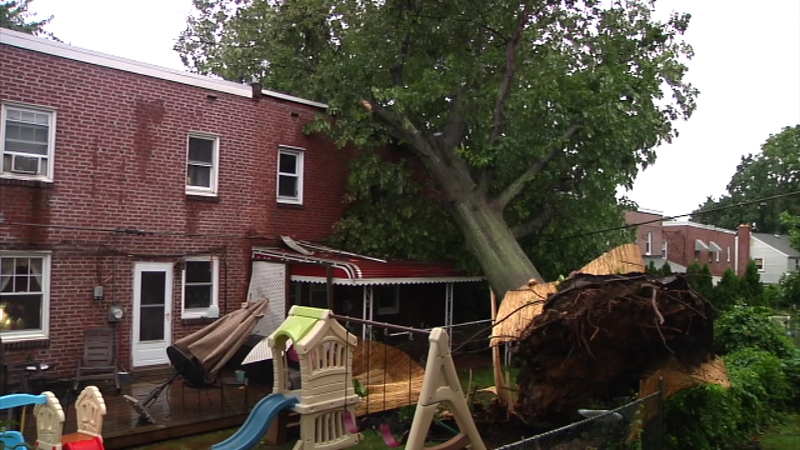 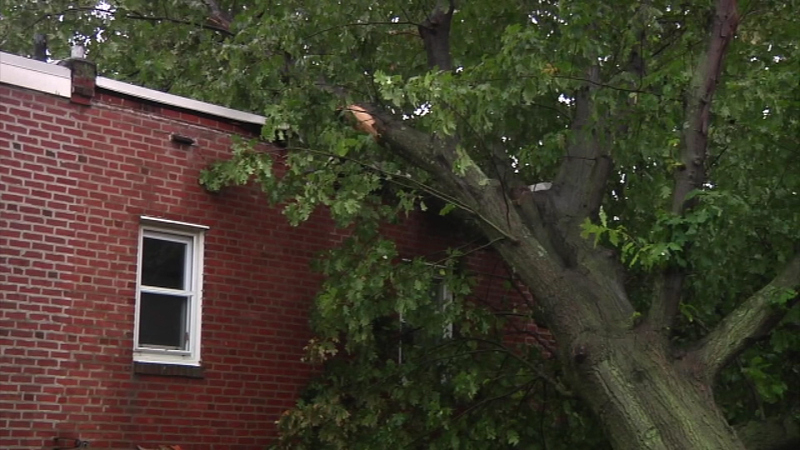 The same cell struck across the Delaware Valley, toppling trees onto a building in Haverford, Delaware County and onto roads, including one in Upper Makefield, Bucks County. 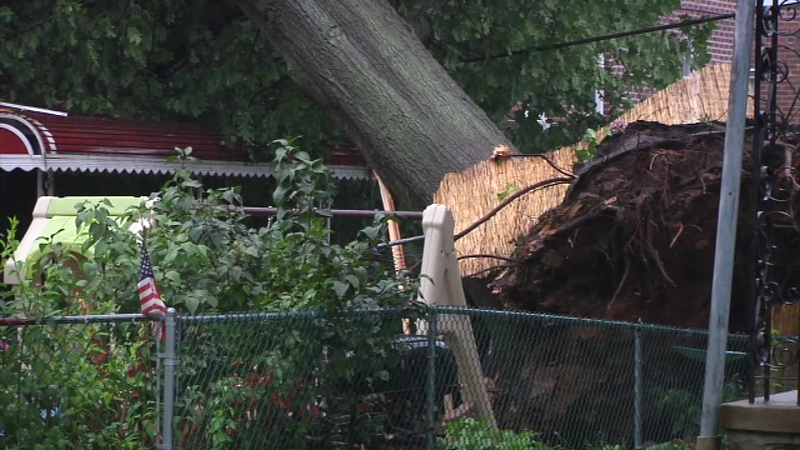 More than 36,000 people were left without power. 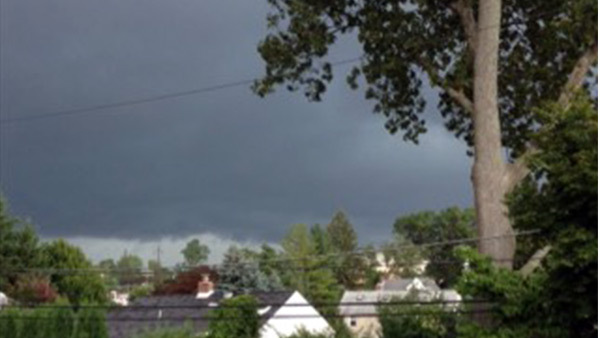 In Bensalem, several cars and a SEPTA bus got stalled in a flash flood beneath the overpass at Station and Rail Road avenues. 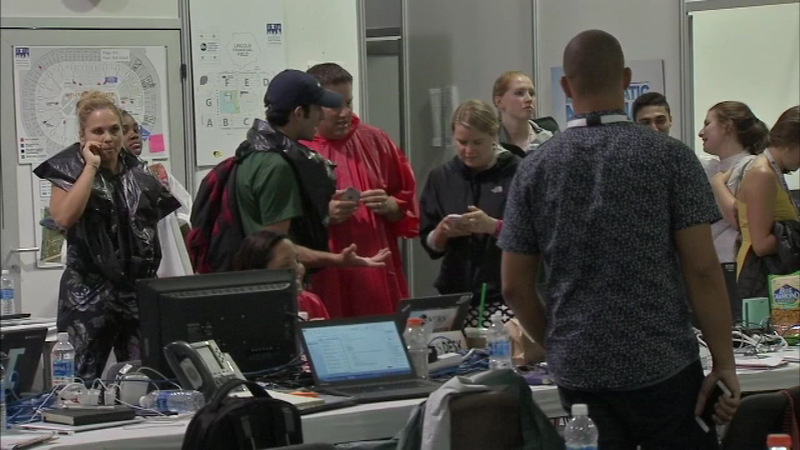 Passengers there were rescued by fire and police. 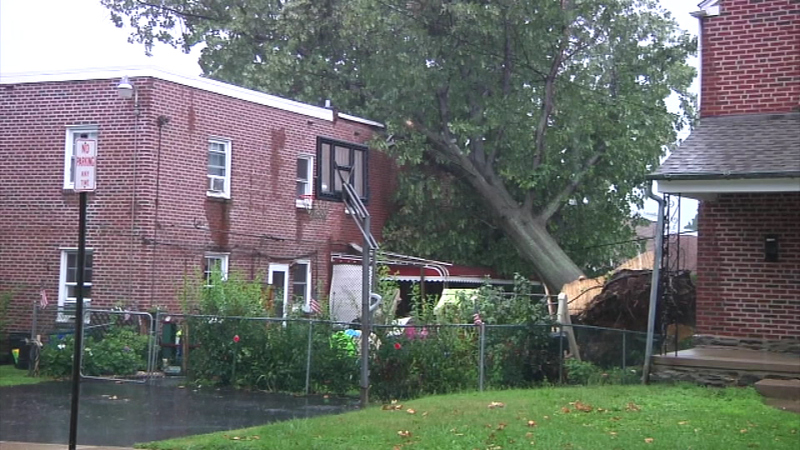 And in Northeast Philadelphia, basements were soaked as the storm water gushed inside residents' homes. 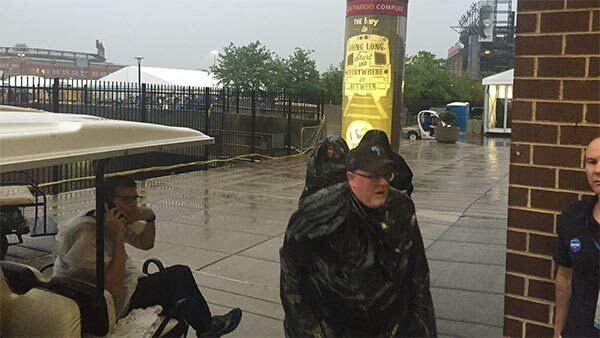 But then, just as quickly as the rain rolled in, it rolled out, bringing somewhat cooler weather just in time for DNC delegates to hit the nightlife on Philadelphia's streets.